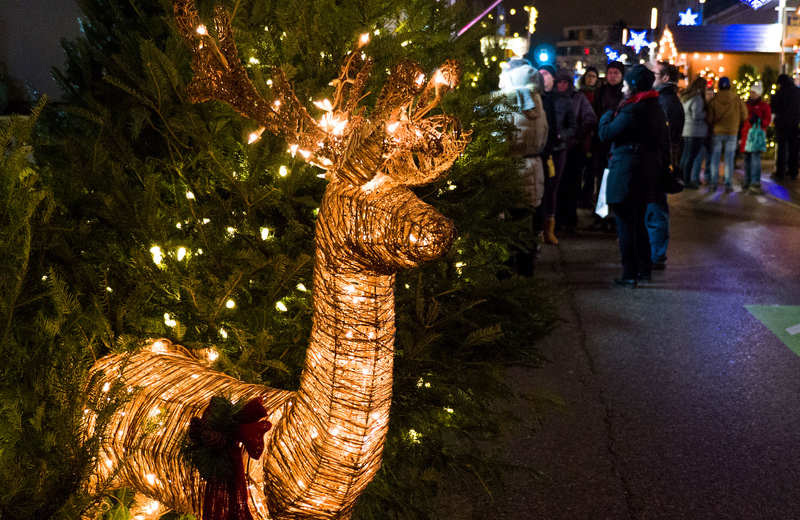 A centuries-old German tradition is alive and well in Kitchener, Ontario. It’s no secret that I love Christmas markets. While I haven’t visited any in Europe yet, I adore the ones in Toronto and Quebec City. As it turns out, there’s a Christmas market in Kitchener, Ontario, too. And I had no idea that it even existed until my friend, Lindsay asked if I wanted to go with her. 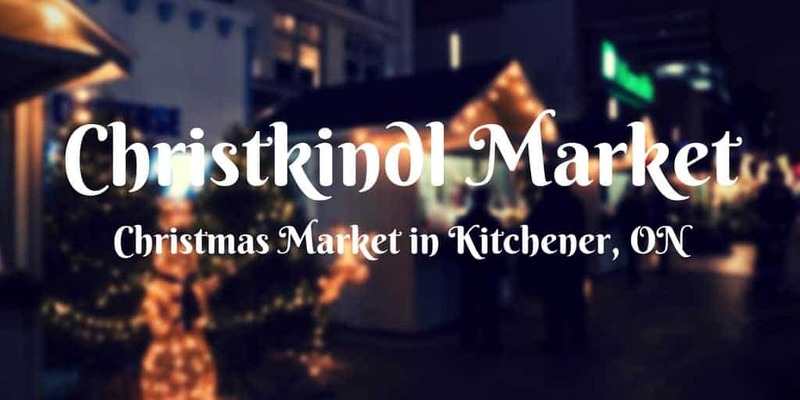 The Kitchener Christmas market, Christkindl Market, is celebrating its 20th anniversary this year. Kitchener is home to the largest German community in Canada, so it makes sense that the city has an authentic Christmas market. 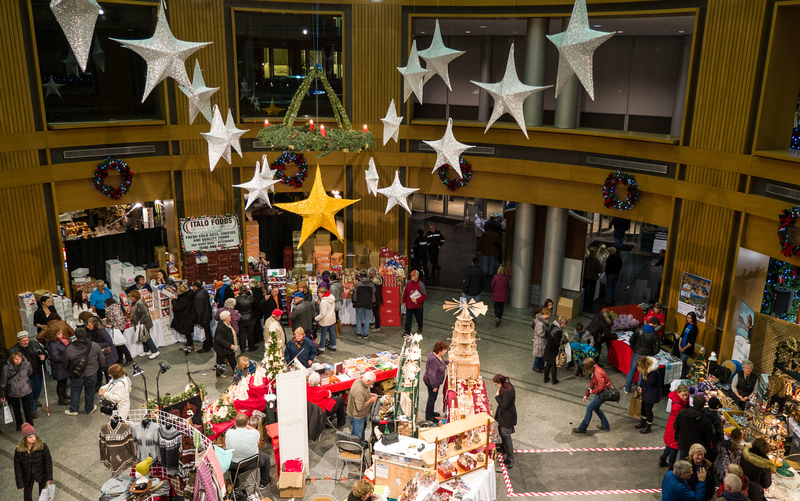 While some of the markets around here operate nearly all month long, the Kitchener Christmas market only opens over the first weekend in December. You’ll have to catch this one quickly so you don’t miss it. What’s your favorite Christmas market around the world? What do you love most about Christmas markets? A section of King Street is closed to traffic and lined with the small huts that are characteristic of Christmas markets. 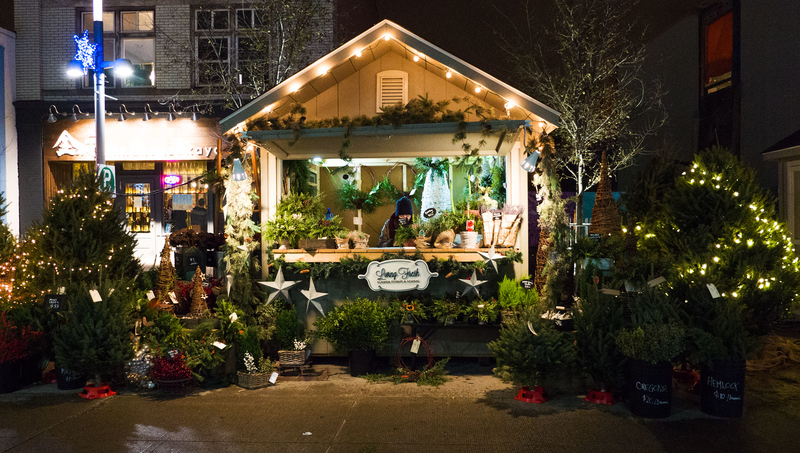 Each hut offers something different – plants and Christmas trees, blown glass, handmade wares, traditional German treats, and more. There are Christmas lights and animated reindeer decorations. Though the outdoor area is smaller than others I’ve visited in the past, I was certainly put in the Christmas spirit instantly. Of course, there’s a booth selling Glühwein! 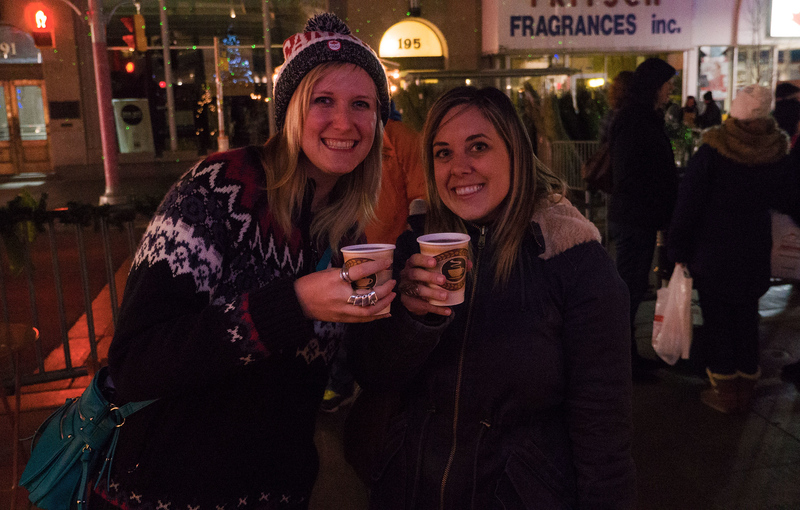 It’s a special mulled wine that’s sold at German Christmas markets. It’s the perfect drink to warm you up on a chilly December evening. 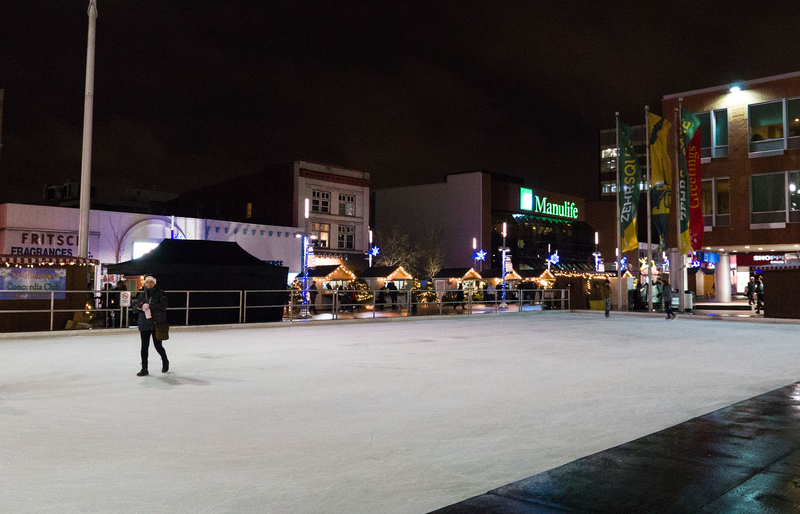 There’s also a skating rink outside Kitchener city hall, a big Christmas tree, and live music by Christmas choirs for added holiday cheer. Though we didn’t see them on opening night, there are blacksmith demonstrations on Friday, Saturday and Sunday. Unlike other ones I’ve visited, the Kitchener Christmas market has a separate indoor portion with more vendors. 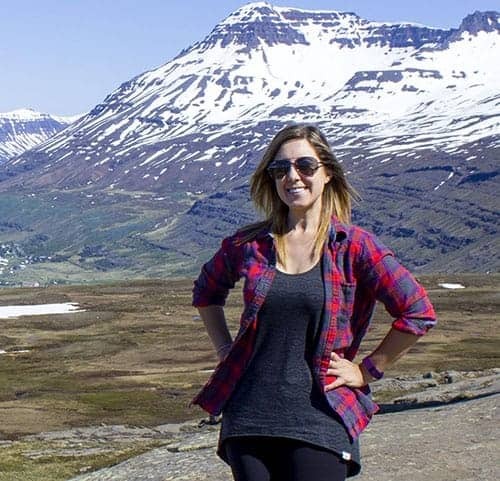 It’s a great place to warm up and go shopping. There are many traditional German products and local handmade goodies – an opportunity to get some Christmas shopping done! It’s inside the Kitchener City Hall, and it’s decorated beautifully. In total, there are over 90 vendors both inside and outside. 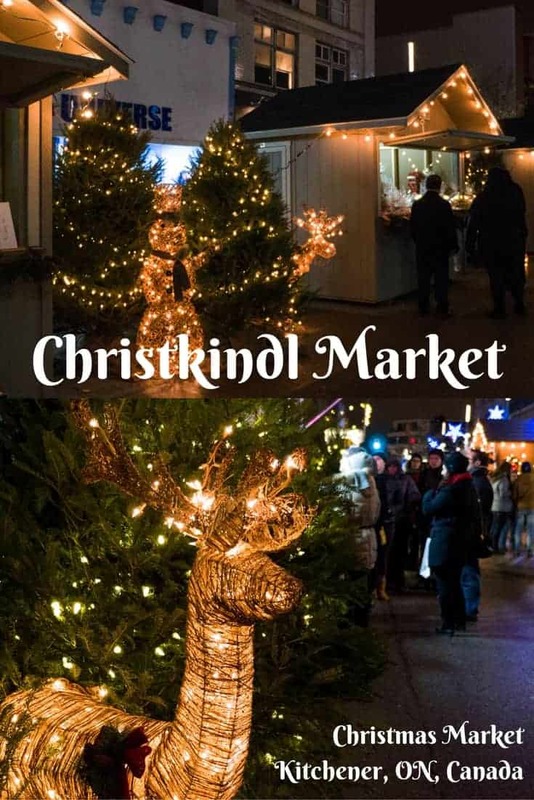 The Christkindl Market in 2016 runs from Thursday, December 1st to Sunday, December 4th. Visit my travel photography album to browse all of the photos from the Kitchener Christmas Market, as well as pictures from my worldwide travels! Want to continue with the Christmas celebrations? Just down the street at Victoria Park, check out Christmas Fantasy. It’s a wondrous display of Christmas lights around the park, covering the buildings, trees, and bridges. On Saturday, December 3rd from 5:30-8:00pm, be sure to attend for the official Christmas lights celebration. 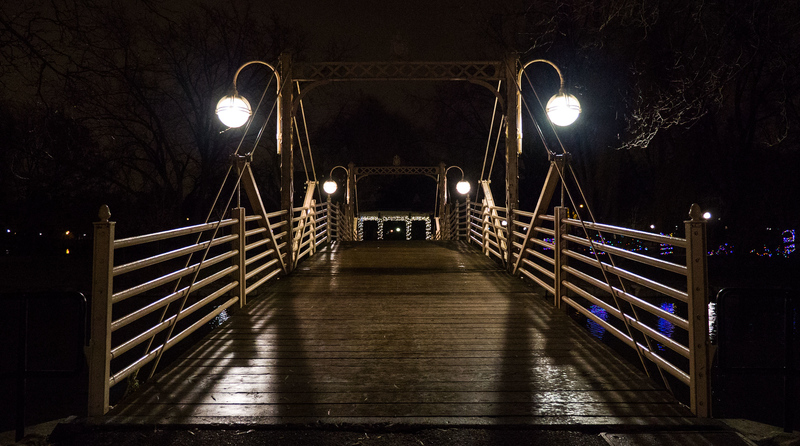 At 6:00pm, the lights will be turned on. There’s also live music, hot chocolate, and the chance to take a trolley ride around the park. Oh, and a very special guest will be in attendance… Santa! 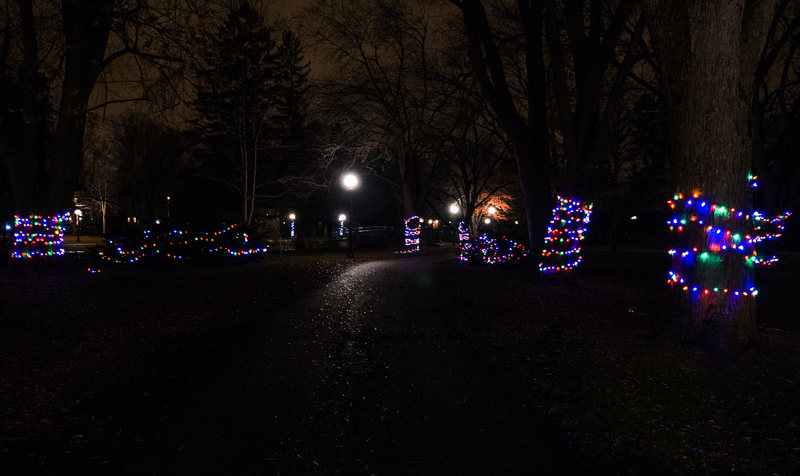 Lindsay and I got a sneak peak of some lights around Victoria Park while we were there a couple days ahead of the festivities. 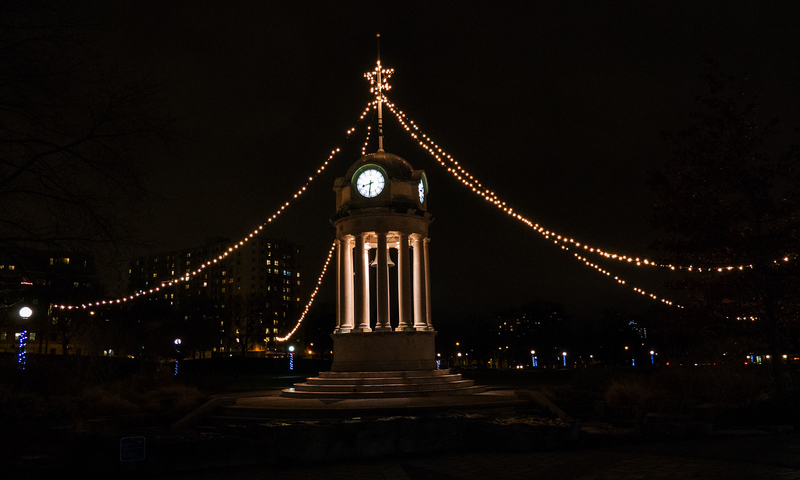 There’s no shortage of Christmas festivities in Kitchener, Ontario! 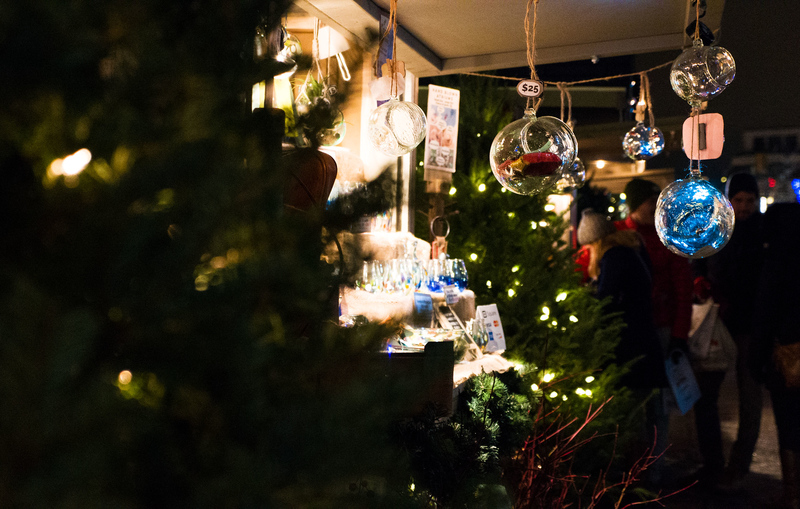 Get out there this weekend to enjoy the atmosphere, shopping, and tastes of the Kitchener Christmas Market. For more details about hours and events, check out the official website. 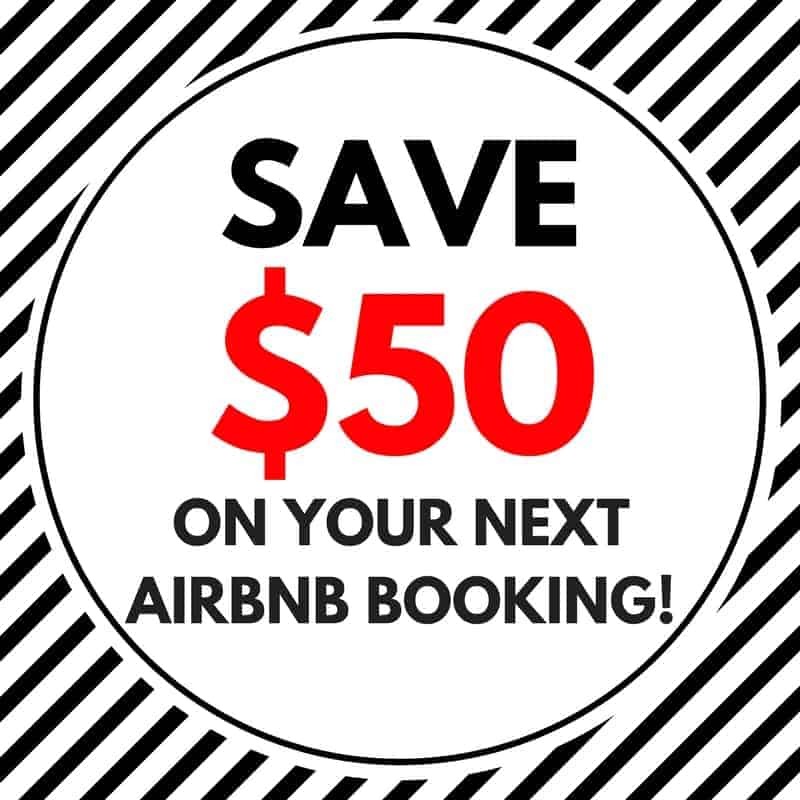 PIN this image to your Pinterest board for future reference. Click the top left corner.